Yiassoo! FoFi's Greek Kitchen is a cafe and takeaway place hidden in the heart of Bellamack, Palmerston. They make humble Greek food and sweets and wanted a very simple site to reflect the essence of everything Greek. Good food, simply made with lots of love! Simple, clean, and very Greek. OPPA! 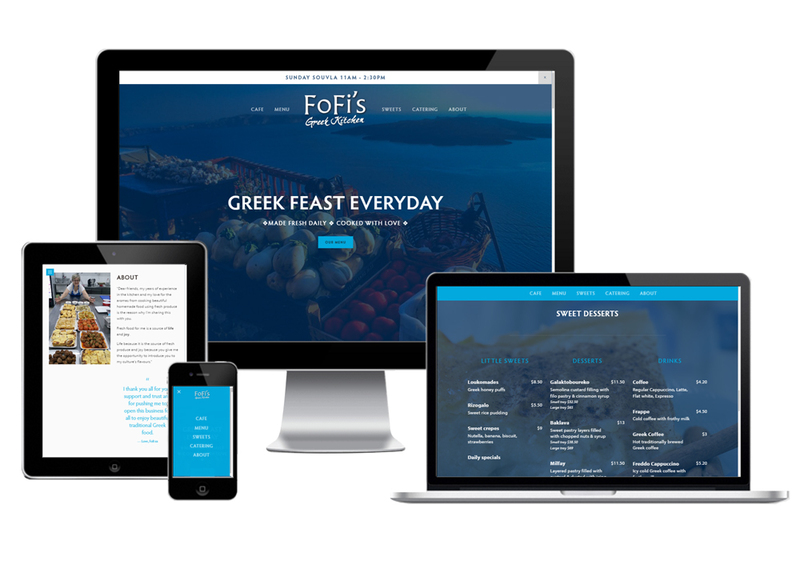 Update: Fofi's is now running a market stall and decided not to continue with their website.